When the family that owns a convenience store in Toronto, Canada, finally found out who was behind a rash of chocolate bar thefts, their reaction was bittersweet: Gimme a break. The candy thieves, the Kim family learned, were none other than a local band of squirrels. 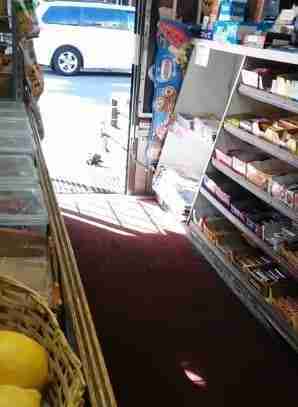 Their sticky-fingered ways - often slipping into the store when the door was left open - has led to dozens of chocolate bars disappearing from the shelves of Luke's Grocery and Snack Bar over the years. And Cindy Kim says her parents have only themselves to blame. About five years ago, her father, who runs the store, started doing a little community outreach - namely feeding the birds who gathered outside. But his generosity may have drawn another element to the neighborhood. "The squirrels started coming and eating the sunflower seeds and such," Kim tells The Dodo. 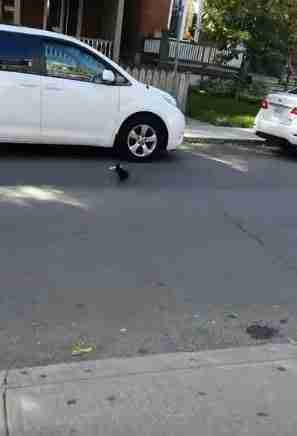 "I suppose they started getting used to coming to our store for food. But those seeds don't last forever. So I think they started robbing us." 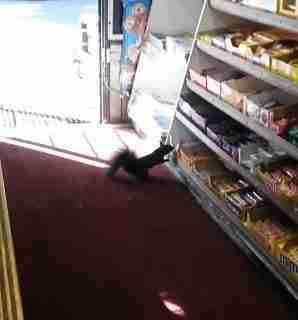 Last fall, she notes, there was a dramatic increase in the heists, with about 40 candy bars in all being squirreled out of the east-end store - "mostly chocolate bars." "We don't catch them all the time," Kim adds. "We're guessing that they come and go and we don't even know about it." While the thieves appear to have learned just when to hit the store, Kim's parents have also wised up their ways. 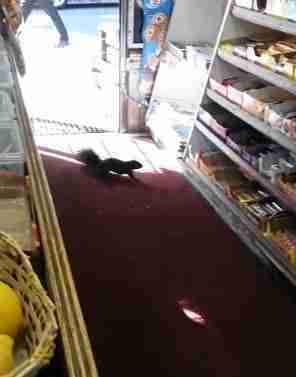 "They would look outside and catch a squirrel hanging out in front of the store," Kim says. Then there's a soft, rustling sound. A hint of movement. "It's difficult to catch them in the act," Kim explains, although her parents and even customers have tried to catch the thieves. 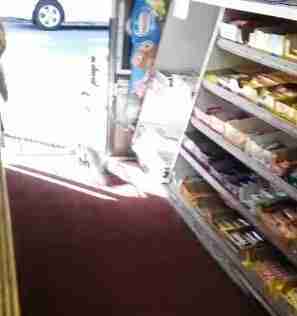 The trouble is, by the time anyone can react, the thief is halfway down the street, chocolate bar in mouth. Now that winter has brought a bit of a freeze on the heists, with squirrel sightings mercifully infrequent - and the front door mostly closed - the family is looking for ways to defend against spring's inevitable crime wave. Meanwhile the thieves are likely holed up in a nearby tree for the long winter, trying to figure out how they got the caramilk in a Caramilk bar. You can follow the ongoing adventures of these candy thieves here.